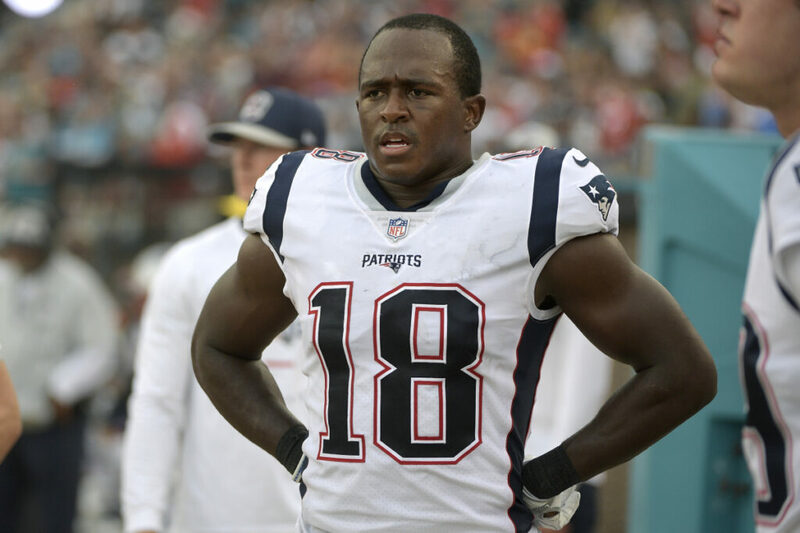 Matthew Slater grew up idolizing his dad, Jackie, a Ram great. Now he has to help beat his father's former team. ATLANTA — There might not be a more intimately embedded spectator at the Super Bowl than Jackie Slater, who has given the Los Angeles Rams his heart and the New England Patriots even more: his DNA. Slater is so close to Sunday’s game, in fact, that unlike everyone else involved, he can’t lose. 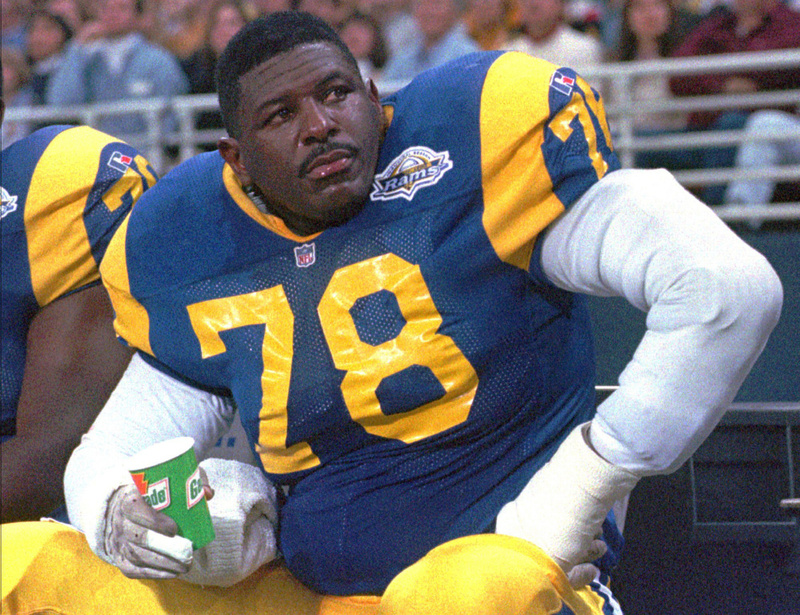 Jackie Slater was ending his career in 1995 – his 20th season with the Rams. Now his son will be playing in the Super Bowl against his former team. On one side of Mercedes-Benz Stadium, Slater will find the Rams, with whom he spent his 20-year career and became a Hall of Famer. One will win Sunday and the other will lose, and Jackie Slater will be comfortably caught in the middle. So, it turns out, blood and water can be equally thick, especially when the water is spiked with two decades of sweat and everything that means. Slater came close to leaving the Rams once, near the end of his career, when he went so far down the road of free agency with Atlanta that he took a physical and received a contract offer. Having grown up in Mississippi, he said the allure of returning to the South to conclude his time in the NFL was powerful. The Falcons wanted Slater to sign before he boarded his flight back to southern California. Slater’s attachment to the organization is so strong that he moved with the team to St. Louis for his final season, which lasted only one series for him because of an elbow injury. After Slater’s farewell appearance, his teammates carried him off the field. Now, 24 years later, he still talks about the pride he felt wearing that blue and gold, still recalls the effort he poured into his offseason training while his young son shadowed him in the gym, the kid’s wrists wrapped in athletic tape, just like his dad. “The man I looked up to and I still look up to the most in my life spent 20 years with that organization,” Matthew said. 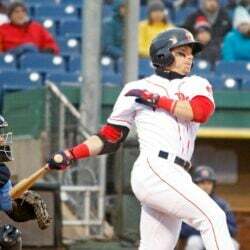 “Through that organization’s generosity and loyalty to my father, I was afforded a lot of opportunities. He is a Patriots receiver by roster designation only, with only one reception, and that came in 2011. He hasn’t even been targeted since 2016. But he is considered to be one of the league’s all-time finest special-teams players, his seven Pro Bowl selections matching the number of times his father was recognized. Only quarterback Tom Brady and kicker Stephen Gostkowski have been with the Patriots longer, a notable achievement for a player who, coming out of UCLA as the 153rd selection in the 2008 draft, hoped to somehow last long enough to cash his signing bonus. Like his dad, Matthew also has received the NFL’s Bart Starr Award, given annually to the player who exemplifies character and leadership, on and off the field. Matthew joked that the Rams better not make his father an honorary captain Sunday, saying such a thing “would be too much.” It happened in 2012, when the Patriots played St. Louis in London. Before the game, Slater told Matthew he was going to shake the hands of New England’s other captains but hug him. Matthew warned him not to. Then, when everyone gathered at midfield for the coin toss, Matthew shook the hands of the Rams’ other captains and hugged his dad. “There’s been no man in my life, no person in my life, who’s had more influence or impact on me and my development,” Matthew said. “He was a Ram. I was a Ram fan. But not now. For Jackie, that’s the easy part. There’s no choice to be made.